Quinnipiac headed into Wednesday afternoon’s contest against Northeastern winning eight of its last 10 games. With Charlie Murray getting the starting nod at pitcher for the Bobcats, they looked to add another win to their record at the QU Baseball Field. Quinnipiac would go on to win by a final score of 5-1, improving its record to 14-17. The freshman Murray picked up his first career win for Quinnipiac and went 5.1 scoreless innings. He struck out four hitters and gave up only one hit. Delaney seemed pleased with his young pitcher’s bounce-back performance. The Bobcats got into the box score first after a Matthew Batten single drove in Mke Palladino to give Quinnipiac a 1-0 lead in the fourth inning. Vincent Guglietti stepped up to the plate next and blasted a two-run homerun to right field and increased the Bobcat lead to 3-0. 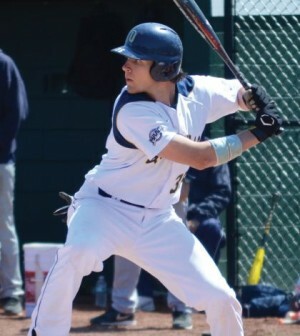 Quinnipiac would score again in the inning after a double-steal attempt was successful where Louis Iannotti stole home while Matthew Oestreicher stole second base. Murray was appreciative of the run support. He knew that it made his job easier. “Runs are big. Knowing that the run support would come today was something that definitely helped,” Murray said. Iannotti would hit a solo home run in the sixth inning to give the Bobcats their fifth run of the day. Delaney understands that his team’s overall effort earned them the win Wednesday. “When you have the pitching, the defense, the timely hitting and ability to execute certain plays, it gives us some good positioning to win us some ballgames,” Delaney said. Quinnipiac is back in action on Saturday when they host rival MAAC foe Manhattan in a double-header. First pitch is set for 12 p.m.